Katie grew up in Great Falls, MT until attending Montana State University where she received a Bachelor's Degree in Exercise Science. She has been living with her husband in the beautiful Gallatin Valley ever since, where they enjoy golfing, hiking, and camping. Katie is one of our most experienced professionals on staff. She handles daily operations of our DRX9000 spinal decompression therapy, helping patients with herniated and bulging discs find relief. Her advanced training in exercise science makes her a valuable asset to patients needing to rehabilitate painful spinal injuries. A warm and happy smile will always greet you when Katie is in the room. Mary Jo is extremely knowledgable with medical insurance billing, as well as having clinical experience as a certified medical assistant. She serves as a point of contact between patients and their health insurance companies. She assists with obtaining payment from their insurance companies and advises patients on the financial aspects of their care at Pro Physio. 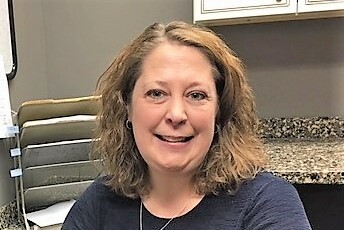 She studied Certified Medical Assisting and received her AAS Degree in Medical Assisting from Miller-Motte Business College in Clarksville, TN and also completed her certification in Medical Coding and has been a Certified Professional Coder (CPC) since 2017. Mary Jo and her husband settled in the Gallatin Valley in 2005 after her husband retired from serving 23 years with the US Army. She enjoys exploring the many back roads of Montana, 4 wheeling, gardening, and giving new life to old items.